21,809 others viewed this post. 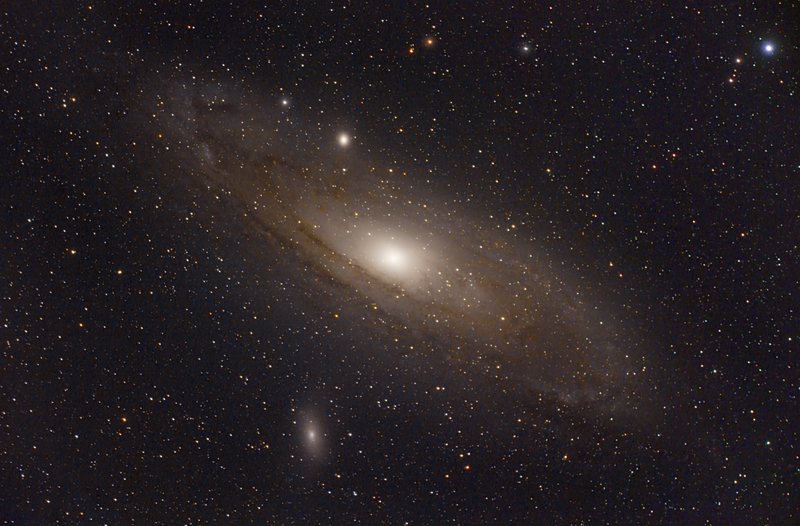 Technically not as big and bright as LMC and SMC that we can see easily here in the Southern Hemisphere, Andromeda is a massive spiral galaxy seen from the Northern Hemisphere with a classic morphology. So it was with some surprise that after taking some test images I realised I was close enough to the equator here in Byron Bay to actually have a decent go myself! It didn’t get higher than 21 degrees in the North. If you’re not sure what that means.. hold your arm out flat. That’s 0 degrees. Now point straight up in the air. That’s 90 degrees. 20 degrees is a slight tilt upwards from your arm being flat in front of you. To give you an idea of scale, you could fit 4 full-moons in this image from side to side. In the middle, like most galaxies, is a black hole holding the whole structure together. You can also see a smaller satellite galaxy underneath the main disc, which is M32. It’s never going to be as good as an image from say, America, but I’m happy to see the dust lanes and core in such detail.